Gold prices declined the most in three sessions Wednesday, registering a combined drop of $43.30, or 2.7%, since Friday when the yellow metal was on a two-day rallying streak which totaled to $55.30. Losses in gold and other commodities were attributed to strength in the U.S. dollar as concerns grow over Greece possibly leaving the European Union. "The instability within the euro zone resulted in a selloff across risk assets, pushing the U.S. dollar higher and commodity prices lower," Bloomberg quoted Luke Mathews, an analyst at Commonwealth Bank of Australia (CBA). 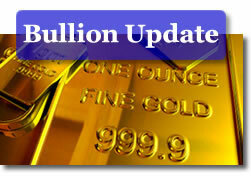 Gold prices for June delivery fell $28.20, or 1.8%, to $1,548.40 an ounce on the Comex in New York. Prices ranged from an intraday low of $1,532.80 to a high of $1,568.50. "Gold is acting more as a risky asset, and everything is tumbling this morning ahead of this (European summit), where nothing good is really expected," Societe Generale analyst Robin Bhar said, according to Reuters. "It is not inconceivable that the meeting could surprise, but going on track records, it’s very doubtful." Silver prices for July delivery lost 66.0 cents, or 2.3%, to settle at $27.519 an ounce. Silver bracketed prices of $27.080 and $28.170. Platinum prices for July delivery declined $44.30, or 3.0%, to $1,414.10 an ounce, trading between $1,409.10 and $1,448.90. While palladium bucked the trend of other precious metals in the previous session by gaining, that was not the case on Wednesday as it was the worst performing major metal. Palladium prices for June delivery plunged $24.45, or 4.0%, to $591.10 an ounce. Palladium ranged between $588.20 and $613.00. Demand has improved this week for smaller American Eagle gold coins, U.S. Mint data shows. Sales of the one-half ounce and one-quarter ounce Eagles advanced for the first time this month on Monday, and they climbed yet again on Wednesday. These two smaller Eagles have recorded the best monthly total since the 2012-dated issues were released in January. All bullion coin sales in the above tables are in number of coins, not in the amount of ounces sold. The U.S. Mint last updated five ounce bullion silver coins sold on Monday, April 9, indicating none have sold since. If history repeats itself, gold should be on the rise here shortly. Might be a good time to buy here shortly.